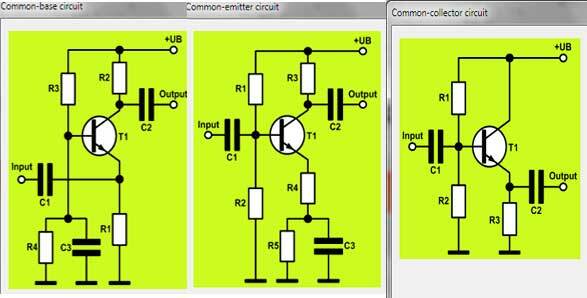 Design your own bipolar transistor amplifier quick and easy – with TransistorAmp 1.1 software. You want to design a bipolar transistor amplifier and you search for an easy way to do this. Maybe, you have already found some formulas in a book and you are confused and discouraged because of the complexity. Furthermore, you need transistor parameters, e.g. from a data sheet and you are discouraged because of the effort, which is necessary for the calculation. For the design of transistor amplifiers there is a new software available: TransistorAmp. 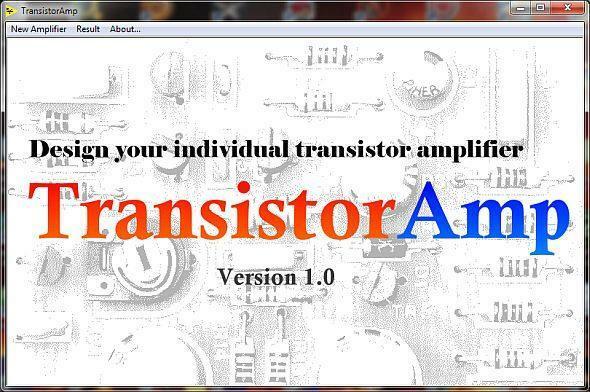 With TransistorAmp you are able to create your individual transistor amplifier with a few mouse clicks. TransistorAmp is freeware. TransistorAmp is a program for Microsoft Windows and runs under Windows 2000, Windows XP, Windows Vista und Windows 7. The tool TransistorAmp 1.1 has a very easy to use user interface. You start every design with the menu item “New Amplifier”. In the pull down menu you choose your desired circuit. You can choose between common-base circuit, common-emitter circuit and common-collector circuit. After that, you get a dialog, where you have to put in all parameters of your amplifier. For the selection of the transistor type you can click on the button “Select transistor type from list”, and you will see a list of all supported transistor types. TransistorAmp supports some thousand transistor types – even some Germanium transistors. Select your desired transistor type there and click on OK. The selected transistor type will then be displayed in the dialog. When you have completed your input in the dialog, click on OK and see the result. You see a window with your input data, the circuit, the component values and the most important parameters of the operation point. If you want to change your design, you only need to click again on “New Amplifier” and the circuit in the pull down menu. The input data, which have given will be restored to the input dialog, and you can change one or more parameters. When you are satisfied with the result, you can click on “Result – Save”. TransistorAmp saves all data which is displayed in the result window to a HTML file. You can open this file with a web browser like Firefox or Internet Explorer, inspect it and print it.